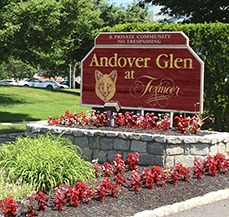 As President of the Foxmoor Master and Andover Glen Condominium Associations, I would recommend Levanduski Landscaping for all your landscaping needs. We have been using their services for several years now, and we have never been disappointed in the quality of their work. Jerry Levanduski and his team are dedicated and professionals, they are considerate of the homeowners and pets in the communities they serve keeping our lawns and trees are well manicured. They work carefully with you, and together you decide on the best approach for your communities planting and lawn needs. 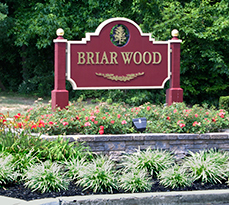 I live in the Briar Wood Community in Hamilton NJ for the past 12 years. I am also currently on the Board of Trustees for the Community and have been for the past 9 years. Levanduski Landscapes has been our Communities contracted landscaper since the inception of the community in 1985. Though we have entertained the possibility of other landscaping companies throughout the years, Levanduski is by far the most efficient, responsible company we have encountered and his quality of work is nicer than any other landscaping company I have witnessed. He is dependable, has wonderful, honest staff, competitive in pricing and always goes above and beyond to ensure our property is manicured to the best it can be. Since our development also has private roads, we have contracted Levanduski for snow removal as well. Levanduski ensures that our neighborhood is shoveled and plowed; and again, done exceptionally thorough. He will ensure staff are out no matter the time of day or night keeping our private roadways and walkways safe. Levanduski Landscapes has a knack of creativity for design and style too, He specializes in paver and brick attributes as well, and has added additional beauty to our development with both entrances and the pool area. I would highly recommend Levanduski Landscape for all your needs. We find Levanduski Landscapes a pleasure to work with. The staff is professional, courteous, dependable and hard working. When it comes to maintaining the community's 200 acres of lawn, planting shrubs and trees, and installing drainage systems, Levanduski Landscapes does a tremendous job. We know we can count on them for all of our landscaping needs. -- Randi DiChiara, Property Manager, Signature Property Group Inc.
Levanduski Landscapes Inc. has been my landscape services provider for the better part of the last three decades. Longevity like that is not a coincidence it is the result of superior services. Whether it is snow removal, turf and shrub maintenance or an enhancement project, I always get top notch service delivered on time at a competitive price. Levanduski Landscapes Inc. continues to earn my business every year, and I am proud to offer my endorsement of their company. It has been our pleasure to work with Levanduski Landscapes, Inc. for the past 15 plus years. Timely rendering of services, competitive pricing and knowledgeable personnel are just a few of the reasons that continue to make our business relationship a success. We highly recommend Levanduski Landscapes for your landscape needs. I again want to extend a huge thanks to Jerry Levanduski and his crew for their outstanding work during this season's many storms, and it isn't over yet, ugh! I'm always (pleasantly) surprised to open my door in the early mornings and see that the sidewalks are cleared and the roadways plowed. The work to keep Wyndham going continues until the snow is out of our way. None of this is news to those of us who have lived in Wyndham Place for any length of time. However, the work under such cold, wet, and nasty circumstances must be recognized. I just wish all residents would move their vehicles to the center slots when snow is anticipated so the Levanduski group can do, more efficiently, what we pay them to do. It's the considerate and neighborly thing to do and it makes perfect sense!